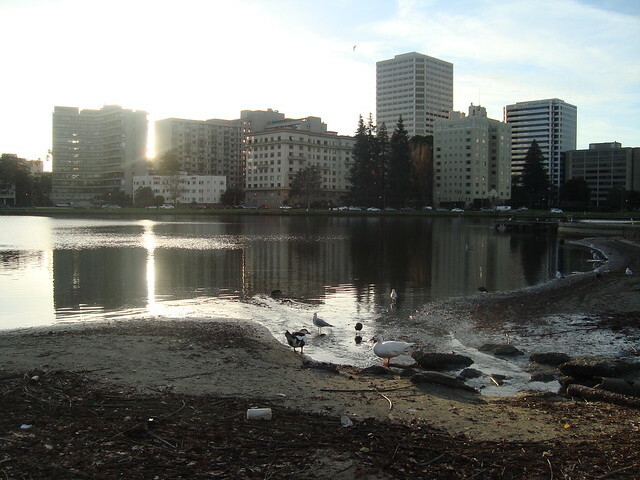 Lakeside (also known as the Gold Coast and the Lakeside Apartments District) is a mostly residential neighborhood located between Downtown and Lake Merritt. The boundaries of the neighborhood seem to be quite well-established. This tiny neighborhood is packed with history. See the tag list below or check out the Snow Museum, the Camron-Stanford House, the Scottish Rite Center, Schilling Gardens or Holy Names University, formerly known as Convent of the Sacred Heart which was previously located in Lakeside.